Picked from a nearby area famous for some of the best figs in Thessaly and from our own trees there. 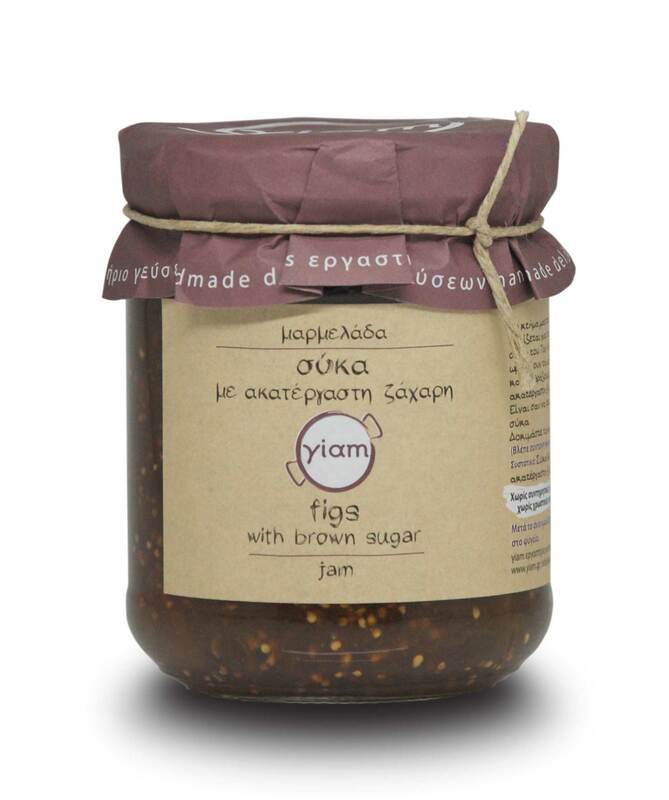 The figs are boiled in raw sugar and there is a higher than usual content of large pieces of fruit. 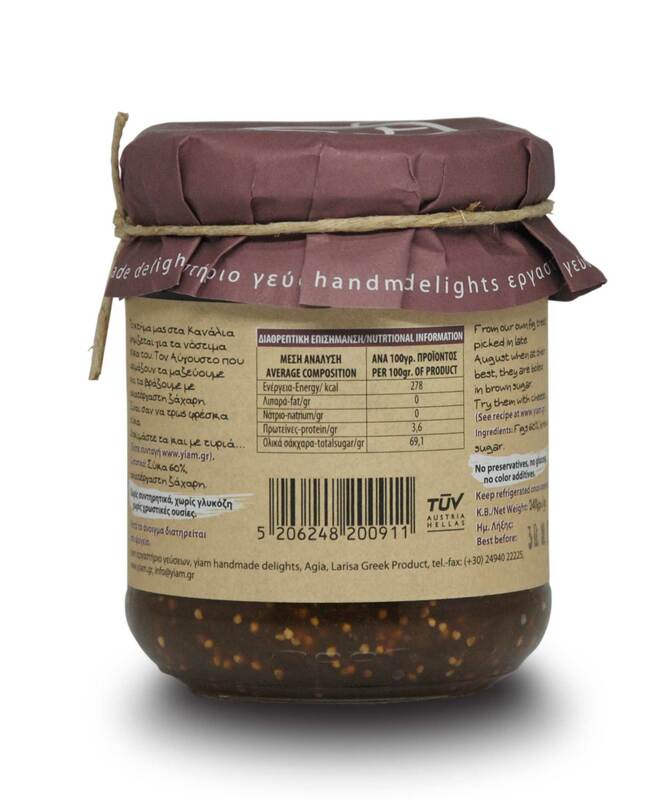 In addition to the normal uses of a jam, this fig jam can also be used as a dressing for a green salad if mixed with some olive oil and red wine vinegar. Add a few walnuts and fine slices of a salty mature cheese and you are ready. Ideal for filling chocolate biscuit sandwiches, your children will be happy to make them. If warmed slightly in a pan with a little butter and Gran Marnier it will be a sweet sauce for alternative crepes suzette.